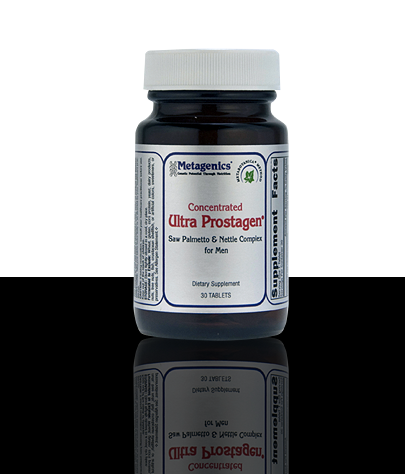 Concentrated Ultra Prostagen® features concentrated extracts of saw palmetto and nettle combined with other select nutrients to promote proper urinary function and prostate health. Promotes healthy urinary function in men by featuring saw palmetto. Helps maintain prostate health with the addition of nettles, a herb widely recognized for this use. Provides added nourishment for maintaining reproductive health with amino acids, vitamin A, vitamin B, and zinc.